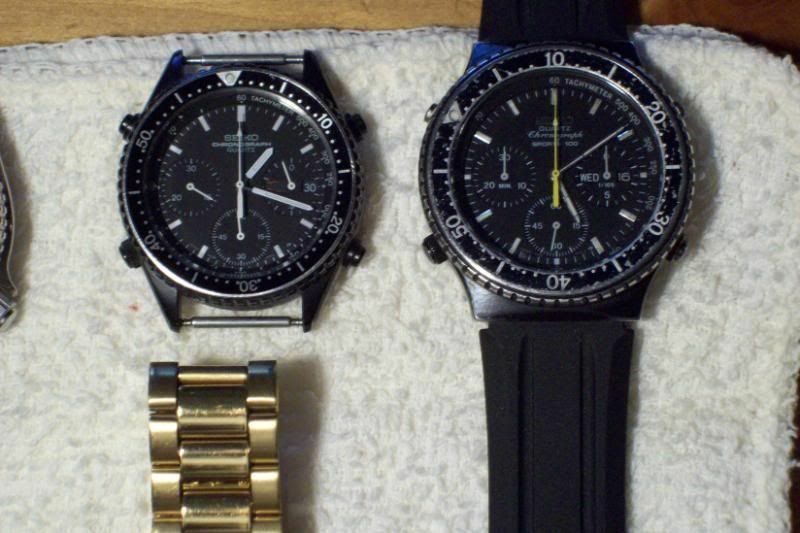 As I've written elsewhere, sales of Seiko 7As to their Japanese domestic market appear to have been mostly restricted to 7A28s. There were a few 7A38s specifically destined for the home market. They're known to collectors by the abbreviation: JDM versions. 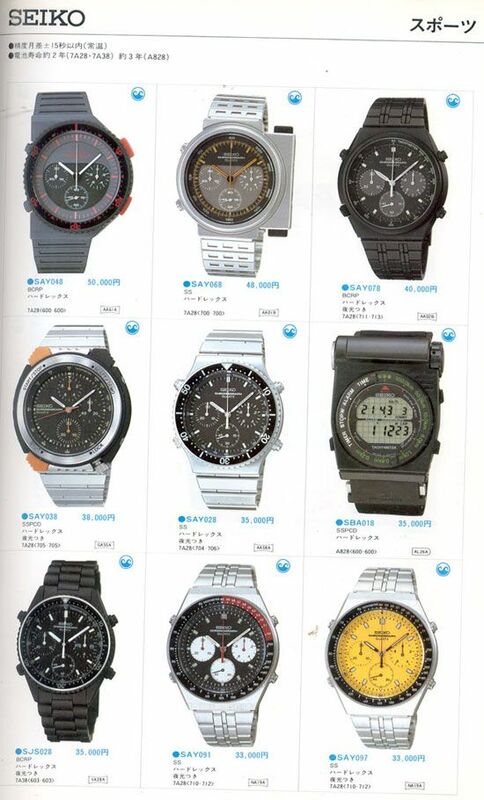 Here's a scan of page 63 of Seiko's 1985 Japanese catalogue, showing predominantly illustrations of 7A28's with SAYxxx sales codes. The 7A38-6030 is effectively the JDM equivalent of the black-chrome 7A38-6010 export model, but without gold plated embellishments. 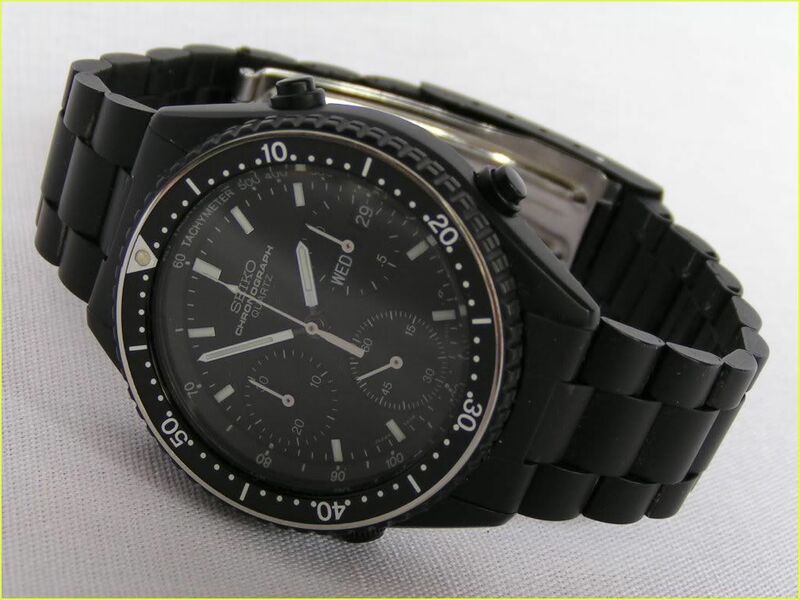 It shares the same basic watch case and bezel casting, but is black chrome plated all over. 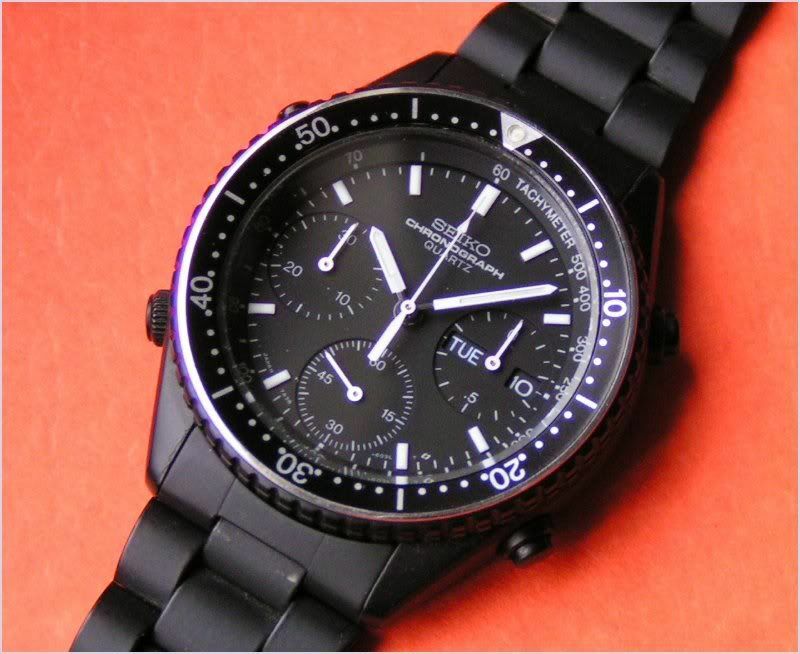 The matt black bezel insert is the same as used on the 7A38-6010 and 7A38-6040. 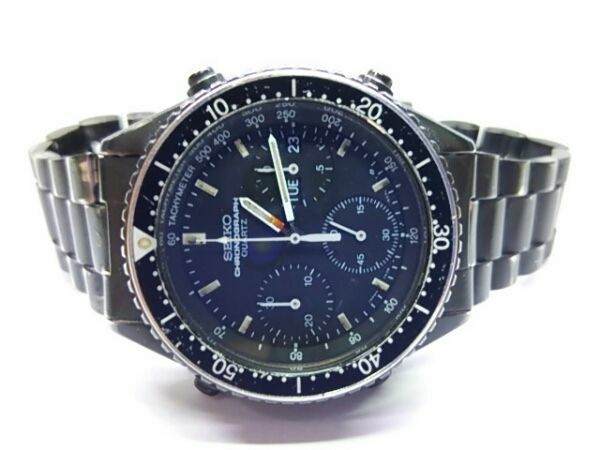 Unlike the 7A38-6010 the 7A38-6030 has a Tachymeter rather than Minute marker dial ring. 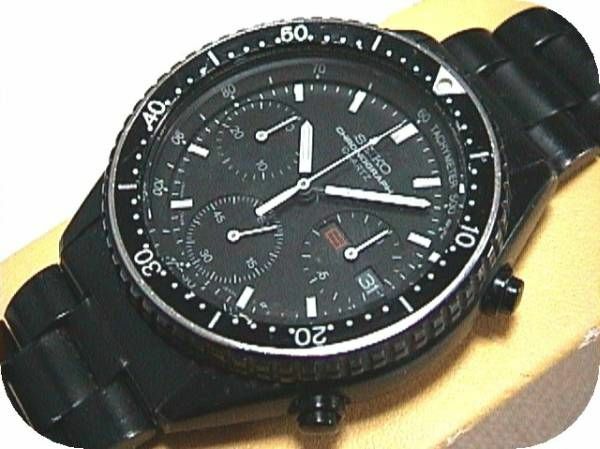 The all black 603L dial of the 7A38-6030 is also shared by the stainless JDM 7A38-6040. 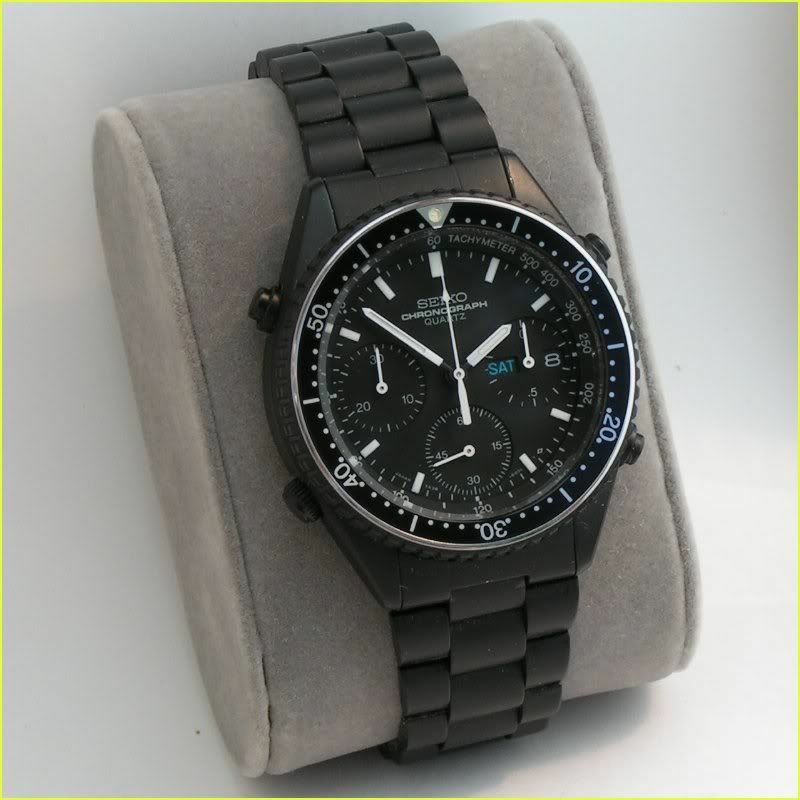 The black chrome plated 'President' style bracelet appears to be the same as used on the 7A38-6010, but fitted with a Speedmaster logo'd clasp, intead of SQ; hence Seiko gave it a different assembly number, as they've done with other shared 7Axx bracelets, per their usual part numbering conventions. The example below came up on eBay in May 2005, and became the object of a bidding war between two collectors - it sold for $370 !! I've personally only ever seen one 7A38-6030 come up eBay - back in June 2009. I distinctly remember it had an opening bid price of $150, which at the time I thought quite steep. Not knowing quite how rare and desirable it was, I just added to my eBay watching page, with the intention of possibly having a bid on it in the closing minutes. Of course, someone must have made the seller an offer to end the auction early, because all of a sudden, there it was - gone. Hindsight, as the old saying goes, is a wonderful thing. Note the Japanese inspection sticker still in place on the case-back in the last photo. 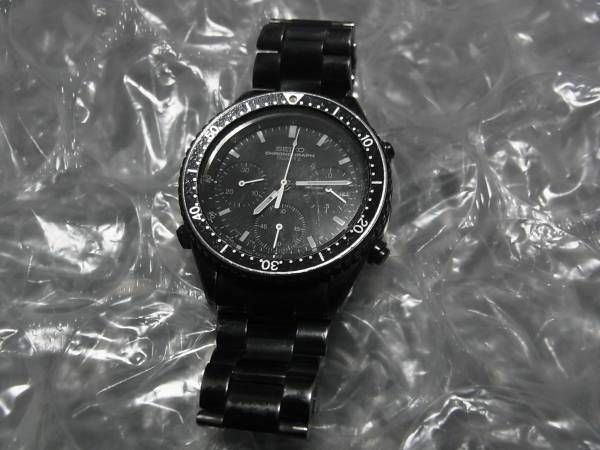 Case appears to be same as used on the 7A38-6010 export model, but black chrome coated all over. 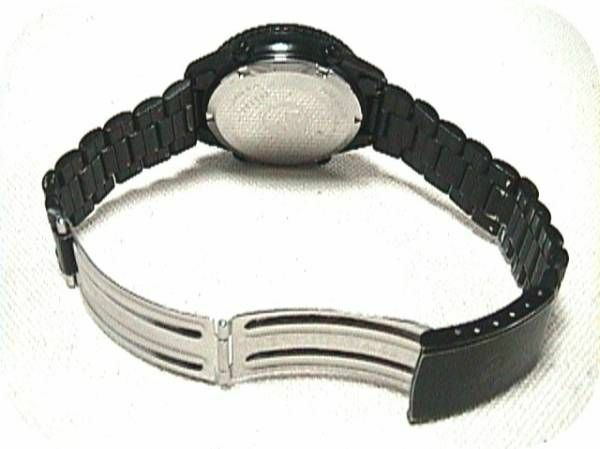 The bezel insert is common. 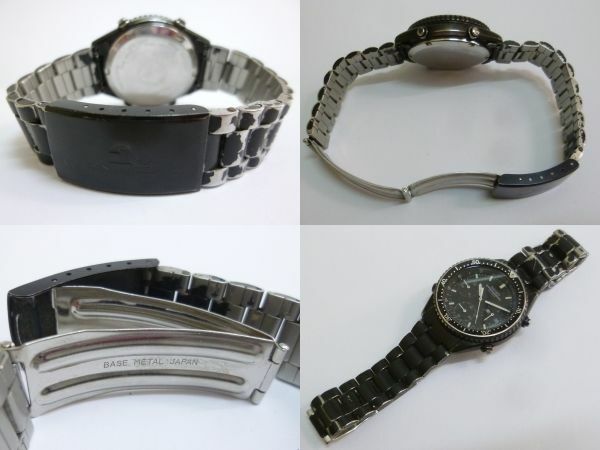 Case material: Base Metal (Stainless Steel) all over black chrome plated (apart from polished stainless case-back). Bi-directional 60-click bezel with matt Black bezel insert and conventional 'Diver' ▽ | 10 | 20 | 30 | 40 | 50 | scale. 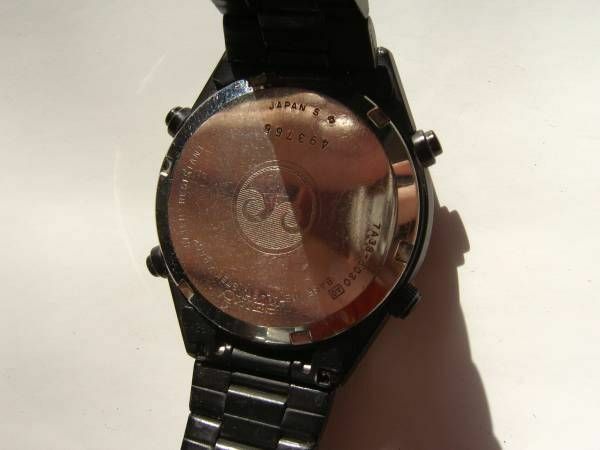 Dial: Part number is 7A38603LXB13. 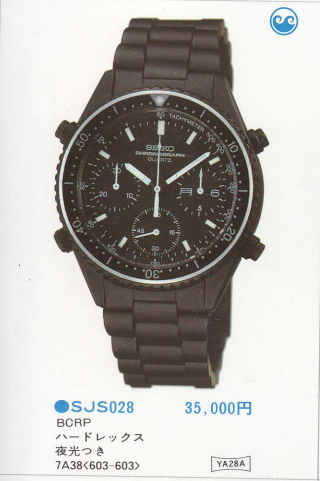 Seiko's database shows it as 'BLACK'. 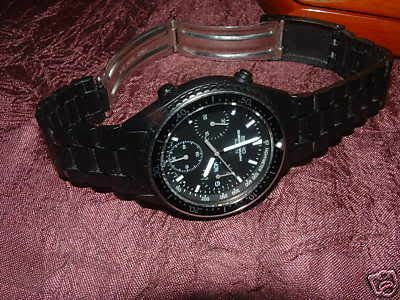 It's matt Black with white printing, as is Tachymeter ring. 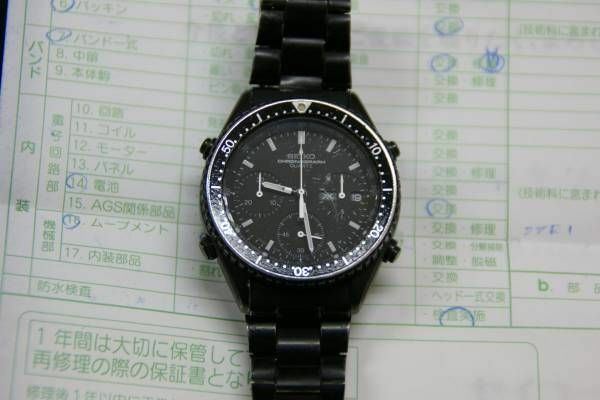 Dial markings: SEIKO (printed) CHRONOGRAPH QUARTZ ; at bottom JAPAN 7A38 603L T Suwa symbol. Day and Date wheels: White lettering on black background. Second languages seen: Kanji (only - JDM model). Hands: Main handset is White (with lume) and black centers. Sweep second hand and sub-dial hands are all White. 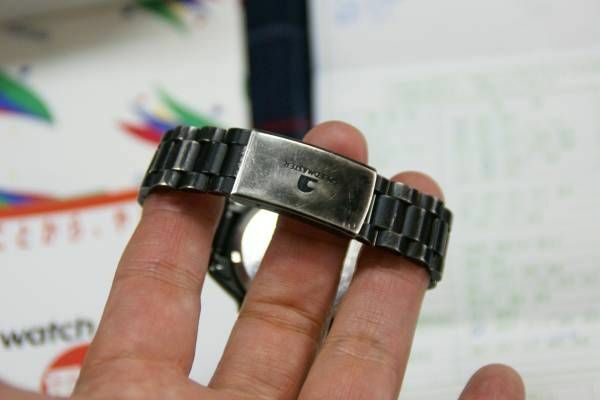 Seiko bracelet p/n: YA28A - end piece 'ears' stamped YA28A. Overall black chrome coated. Fixing by 18mm x 1.5mm Ø spring bars. Geography: Rarely found outside of Japan (naturally, being rare JDM model). Occasionally seen on eBay in the USA. 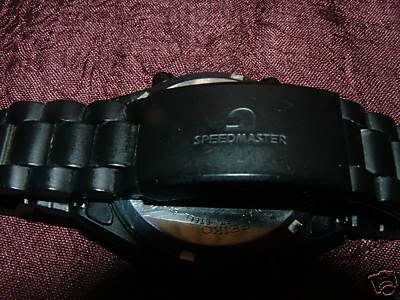 Buyers Tips: Original small font Black bezel insert is irreplaceable. Black chrome coating susceptible to rubbing wear. Price Guide: $150 - $450 dependant upon condition. Rarity Factor: 5/5 - Extremely hard to find (outside Japan). 4th from the Left is a nice example of a 7A38-6030. I wonder if this is the same one from the June 2009 eBay listing that ended early. 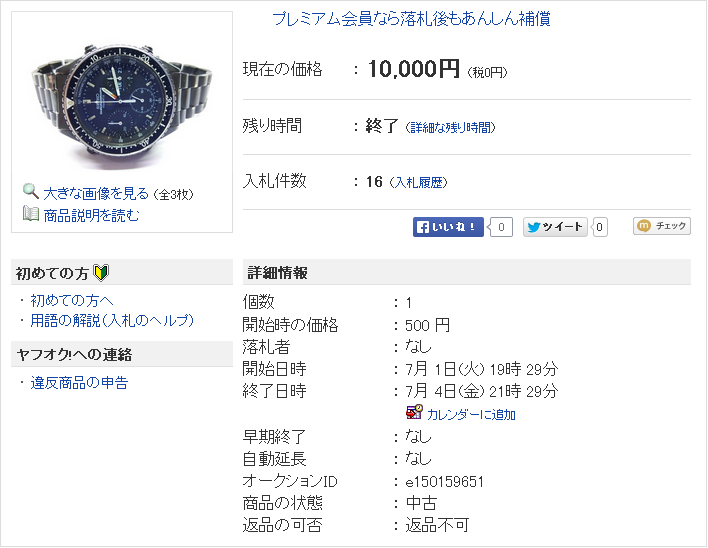 But this one, listed relatively recently on Yahoo Japan auctions - in March 2012 was initially absolutely ridiculously over-priced ! 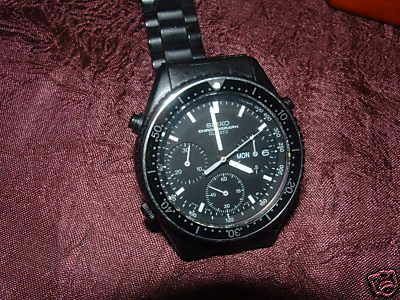 Will 7A38-6030 SEIKO CHRONOGRAPH. I think quite rare than bite also be seen on the net is not. "Verify" operation is running. It is an exhibition by junk because there is feeling. Way more nervous perfectionists Please refrain from. Please note that an amateur. Who can not take 6 hours from the end does not contact the successful bid, I will limit it to the person who can deposit within 36 hours. Will pack delivery charge will bear the highest bidder, Yu. I hope in a no claim, no return. So not only is the black chrome coating badly worn - but (the way I read it) the seller seems unsure whether it actually works ! 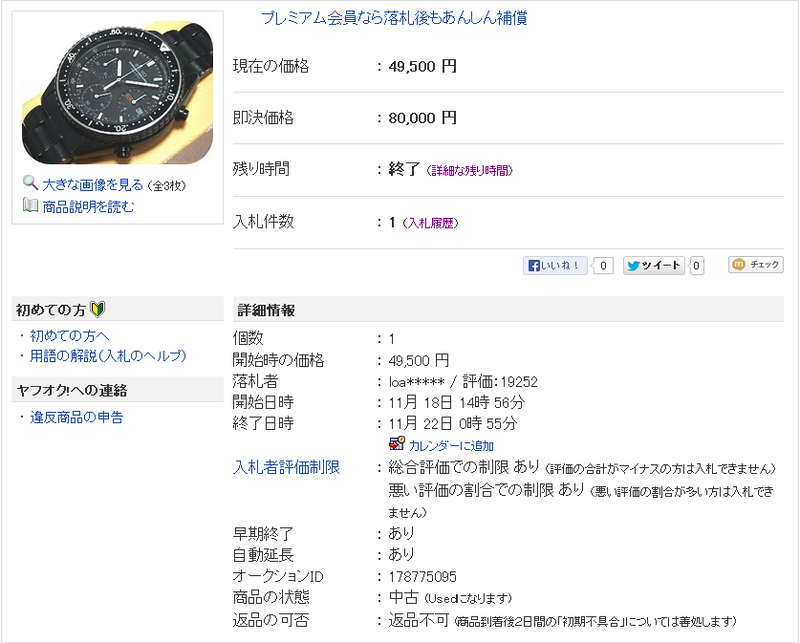 It was subsequently dropped (in rapid stages) during the following weeks to ¥ 20,000 Yen ¥ 18,000 Yen ¥ 15,000 Yen by 8th April. It finally sold on 13th April for the (once again) revised opening bid price of ¥ 12,000 Yen - equivalent to approximately £93 or $148. If anyone can please provide a working URL link to this Yahoo Japan auction listing which ended earlier today, I'd appreciate it. The item number was f133899185. Thanks. 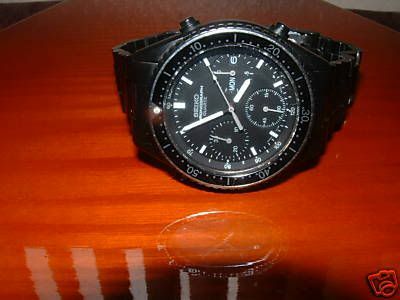 1st 7A38 Speedmaster with calendar, for domestic, completely junk (for parts). The word 'junk' was repeated in the description. 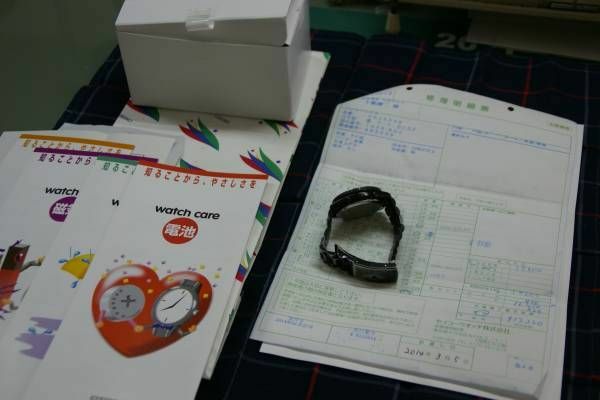 As we know, the Japanese don't like 'wabi' on their watches and regard non-working watches (even rare ones) with more disdain. Whatever, I can't finish off this post, because the link I had (which I thought was good) doesn't appear to work (any more). 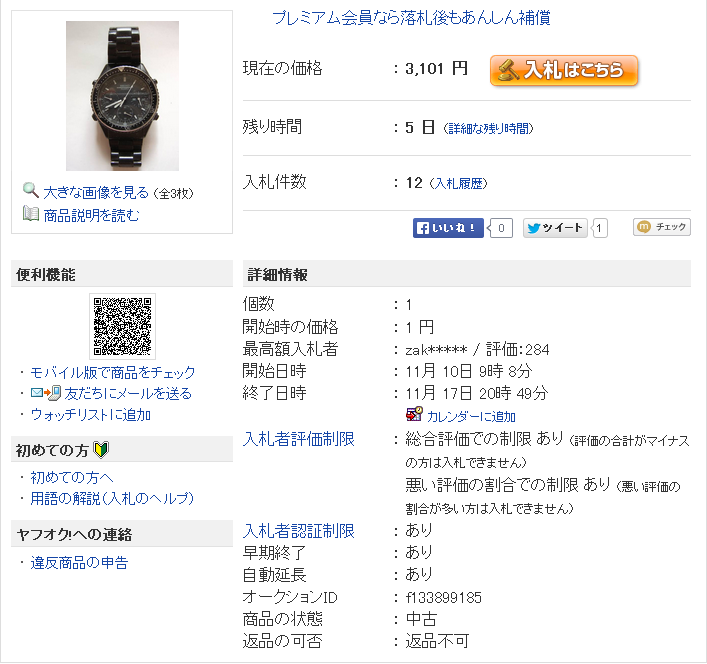 Perhaps Yahoo Japan have changed their policy with regard to viewing ended auctions (i.e. you need to be signed in). Anybody ? As you can see there were still 22 hours before the auction ended and at that stage, it was only at 6,250 Yen after 26 bids. But what astounded me (apart from the asking price) was the appearance of a second 7A38-6030 from seller 'serena_special'. 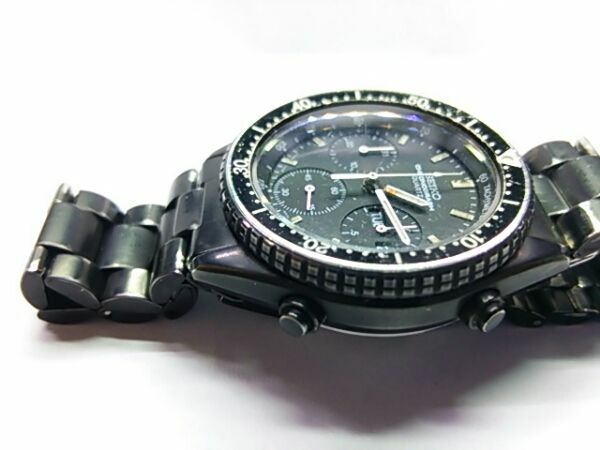 ● exterior bezel is made ​​in both directions rotating bezel type, inner ring (fixed) is tachymeter specification. 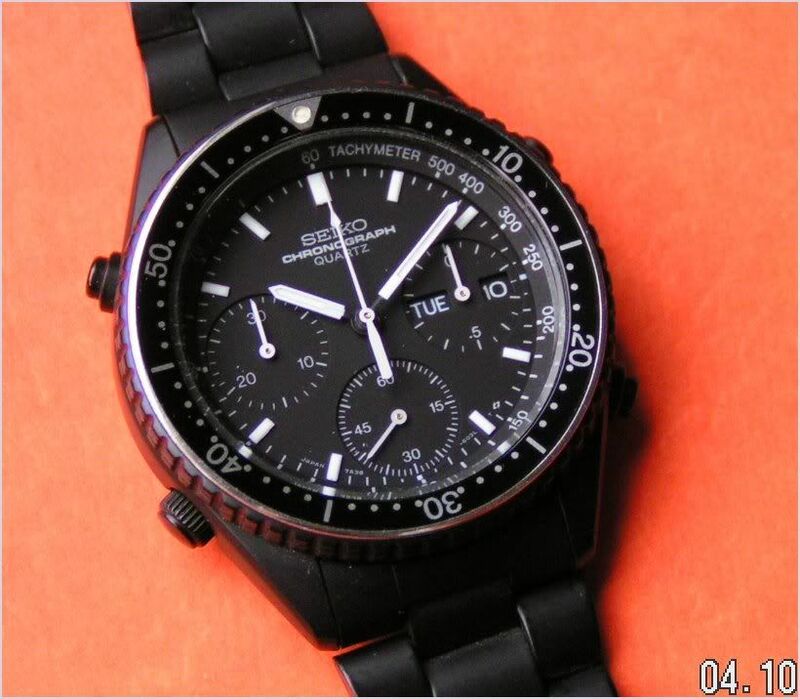 · · · * currently is "clock function chronograph function / demonstration function, day-date function" works properly. · · · * And act accordingly I hope in a basic no claim (however, two days after the arrival to the product for "initial failure". Topics that can be recognized as "our responsibility category" and common sense in the We sincerity support, but "actual image was different," and the difference of the subjectivity of the successful bidder, support for personal reasons, "the wrong size / Item misunderstanding, etc." for I want to have refrain). The current asking prices of 49,500 Yen (Opening Bid) and 80,000 Yen (Buy-it-Now) equate to $495 / £305 (Bid) or $800 / £495 (BIN). I don't like unanswered questions and half-finished posts. I had a pretty good idea that the Yahoo Japan link I'd posted for that first 7A38-6030 auction listing was correct (at the time). But why couldn't I see it and why was YJ re-directing me to log in ? Hello, Paul. I'm sorry for late reply why I noticed your message today morning. YJ auction listing # f133499185 didn't close, maybe. 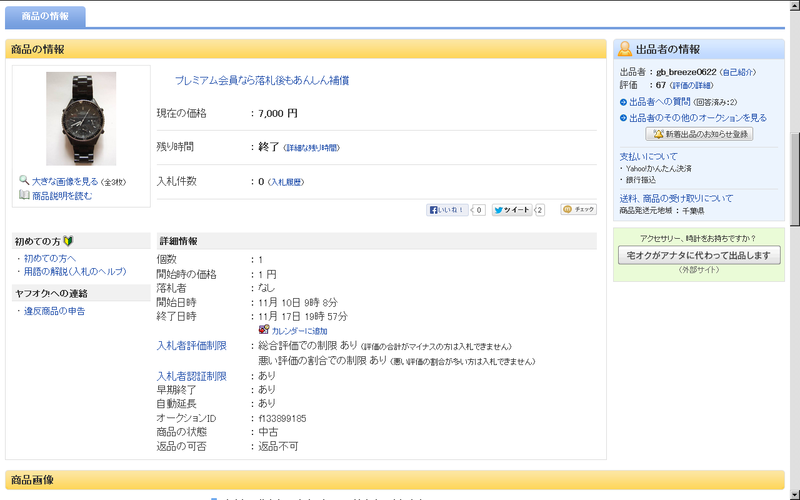 (12 people bidding in your picture, but now indicate 0 people bidding on YJ auction system). See attached full page printed. If you scroll back up the page to my previous (partial) screen print, you'll see that the auction was scheduled to end on Sunday 17th November @ 20:49 (local time). Now look at Dai's screen print and you'll see that it was ended 50 minutes early @ 19:57 (local time). So I presume that either the seller terminated the auction, or asked YJ to end it early for him - at which point all bids were cancelled. This is quite a common occurrence on eBay, unfortunately, but it's the first time I'd seen it happen on YJ. 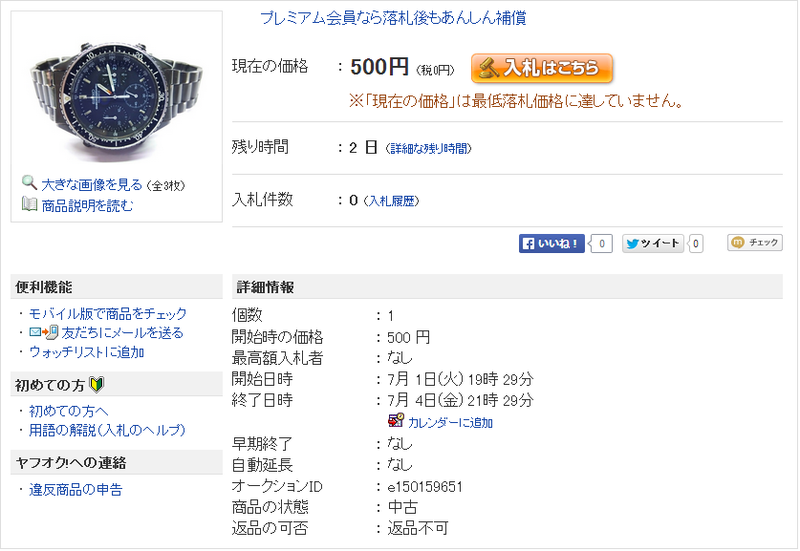 The likely reasons are that either someone made the seller an offer outside of YJ, or that possibly as bidding had only reached 7000 Yen with 50 minutes to go, he got cold feet and pulled it. 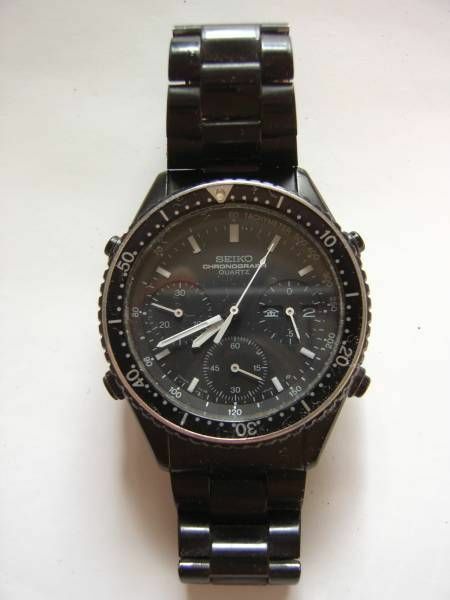 Especially if he'd seen the other seller 'serena-special's working example of a 7A38-6030 listed with an opening bid of 49,500 Yen, that might have given him the incentive to get his watch working again, before subsequently re-listing it. 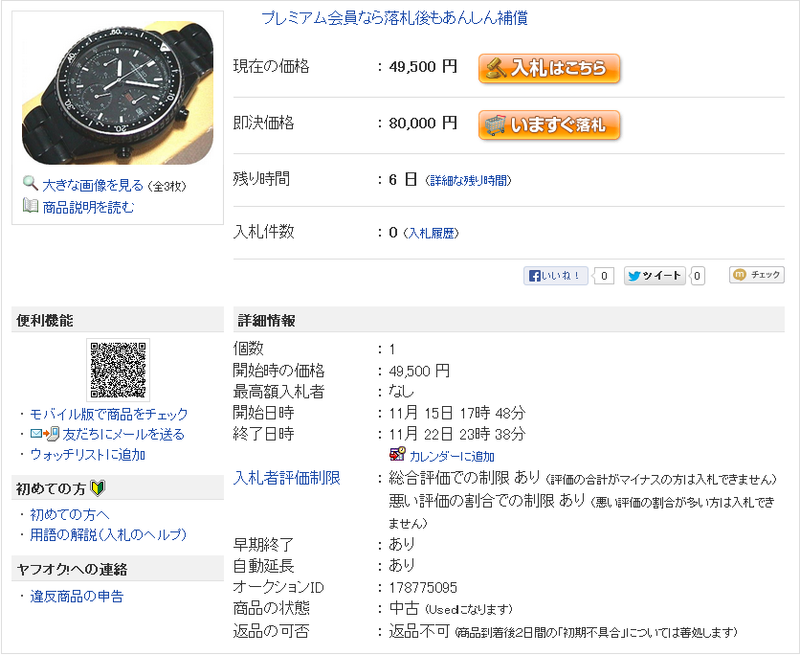 There was only one bidder who got it for the 49,500 Yen opening bid price. If I'm not mistaken, the winning ID loa***** with a whopping feedback rating of 19252 belongs to one of the YJ proxy bidding services. So I've got a pretty good idea where this one is headed. I've personally only ever seen one 7A38-6030 come up eBay - back in June 2009. Indeed, 7A38-6030's very seldom come up on eBay - in any condition. I had spotted this somewhat less-than-perfect example listed by a US seller a few days ago, but decided to hold off posting anything about it until the auction had ended - for a couple of reasons. Found this in the attic, according to my dad he bought it when he was a teen and never liked it. 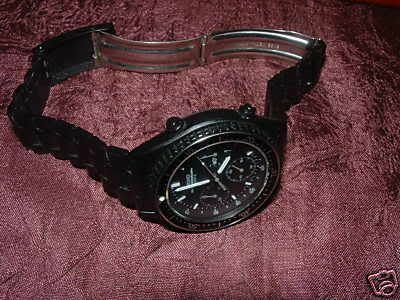 i looked it up and apparently its a rare watch, hard to find. so now im selling it. 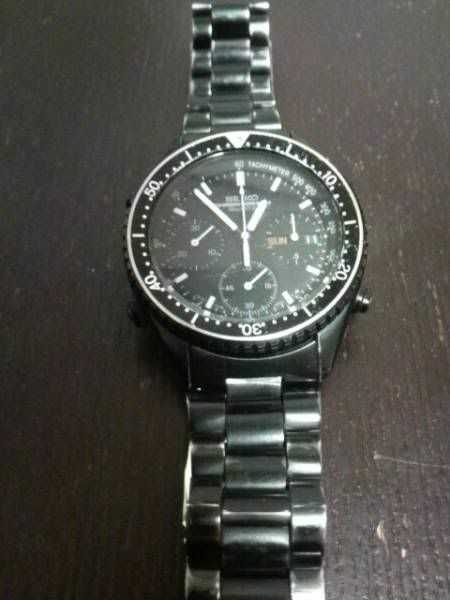 it has some scratches on the watch and strap. just replaced the battery. it works fine. 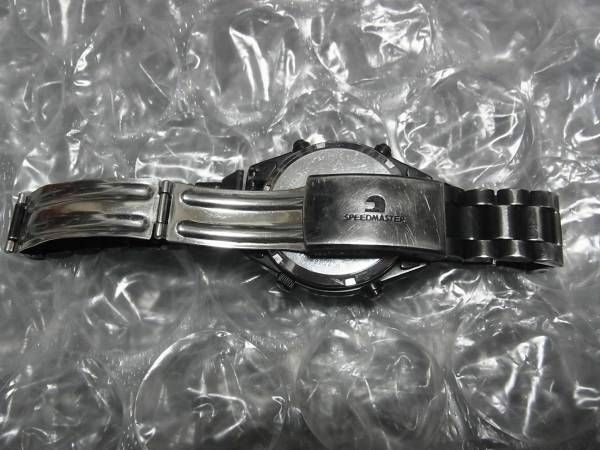 I suppose I should have flagged it in the Yet another 7Axx on an undisclosed non-original bracelet thread, but hopefully it would have been immediately obvious to anyone who might have been interested that the ill-matching stainless bracelet fitted was not the original. Then a forum member emailed me a link, saying that he intended to have a go at sniping it, so the less attention it attracted the better. Poor guy over paid by about US $100.00! oooops! Serves the winning bidder t***t right for having stacked up two such ridiculously high bids - days before the auction was due to end. Before you emailed me, I was thinking about having a go at it myself - I fancied the idea of building a franken using that all-black dial. But there was no way I was going to bid anywhere near as high as you did. Glad I didn't bother wasting the effort. 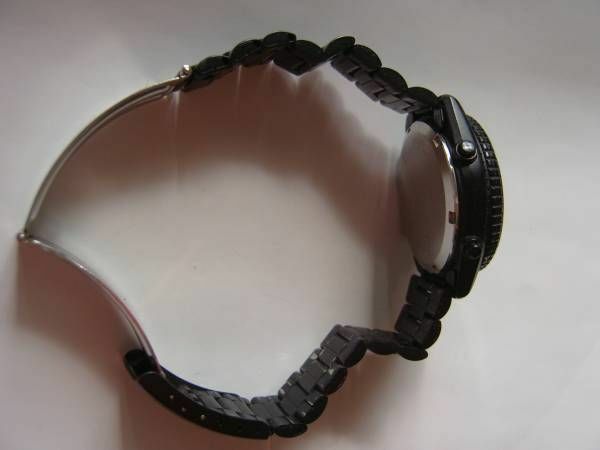 It is USED, there is a little crack in the glass surface, but the thing that interfere in use. There is no use feeling there is little attrition etc. places of the other belt, but is not particularly damage, ugly detail thing therefore that I had from a long time ago relatives I do not know is no accessories such as frame so gave me as it is the thing which I wore we do not use most because it was not a hobby watch itself is moving also currently unknown when to stop because the battery is (likely to stop during transport and exhibition period, there is) there is a (model number?) engraved back stamp that 7A38-6030 It's becomes an FYI do not know How to measure the size of the belt, but an adult male in is the feeling that there is little room in the arm around the thin-Normal Slightly clock is moving, but I think I do not know though application of the button and laying He is behind the times in the machine, it is a thing used successfully once it incorporates by any chance I will consider it as a defect have any questions we will answer in the range seen in this place in understanding the basic image, please join only person who can judge us. No mention of the word 'Junk' in the title nor description, so presumably this one actually works ! Unlike the similar condition example listed on YJ back in March 2012, with an opening bid of 100,000 Yen, this one has a far more realistic 1,000 Yen opening bid price. 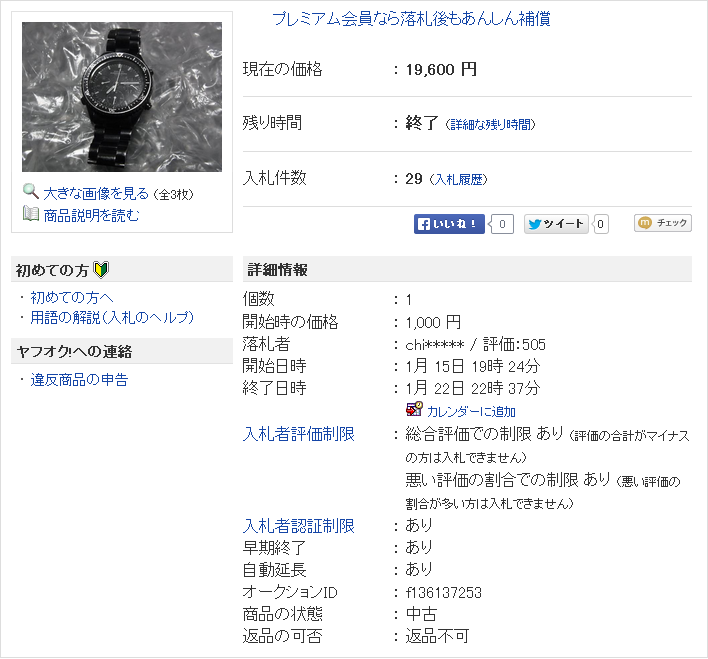 It sold for 19,600 yen (equivalent to $191.73 USD / £116.24 GBP) after 29 bids by 7 different bidders. 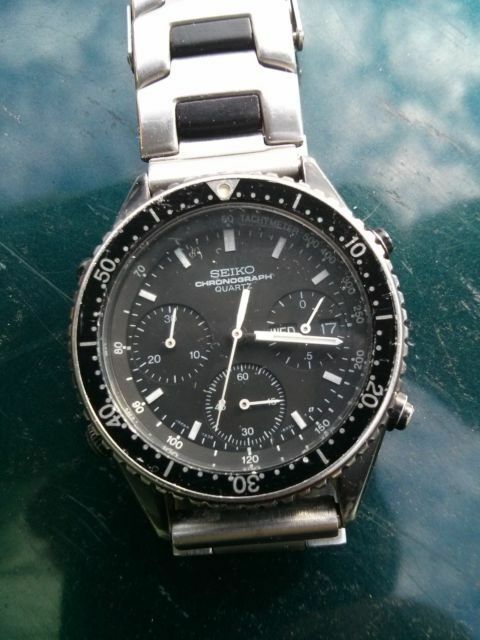 There's been discussion before on this forum (and elsewhere recently on TZ-UK) as to whether Seiko still offer service and repair for 7Axx's. 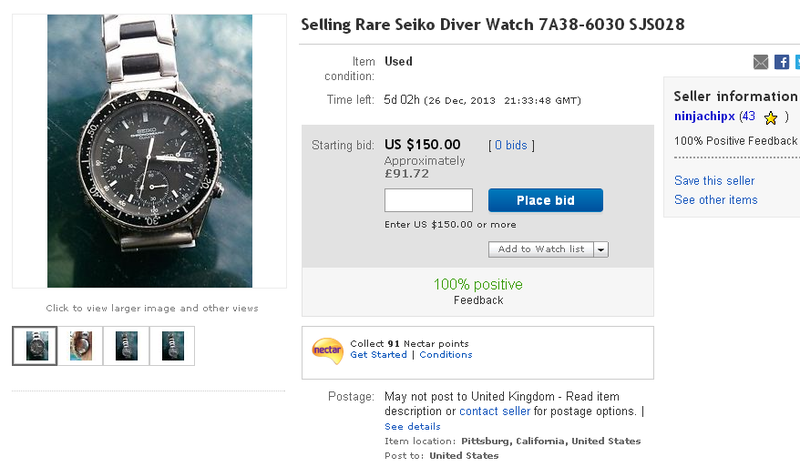 I happen to know that Seiko UK still do and here's proof that even Seiko Japan still do. 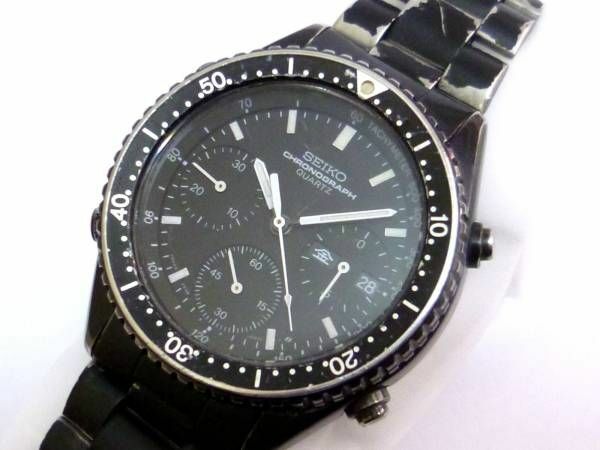 It is 2014/3/5 overhauled by Seiko. Manufacturer Warranty 1 year limited. It is all black trendy now feel have done suitable for an age is wonderful. Overhauled. Replace seals. Battery exchange. Waterproof-tested. It can be used routinely in spite of age because it is. I think useful in everyday use date and day of the week so we went. It should be the start price the purchase price + Vendor overhaul price. I think a valuable model that is not exhibited almost. Arm circumference is 17,5 cm. There is no piece too. 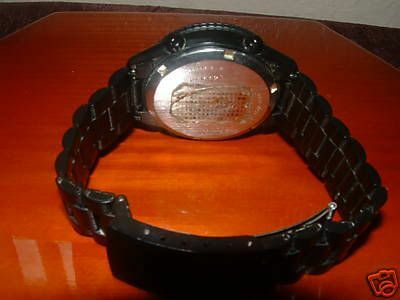 The one that is delivered to overhaul after by Seiko in the picture and watch body is all. Serviced with 12 month's warranty or not. 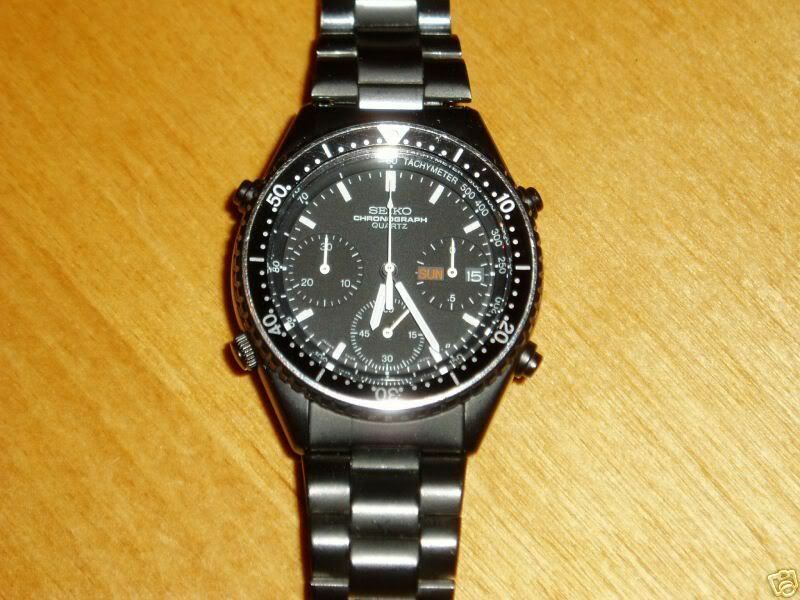 Edit: Looking at the wear on the SPEEDMASTER logo'd clasp that could well be the same watch which sold in January for 19,600 Yen. 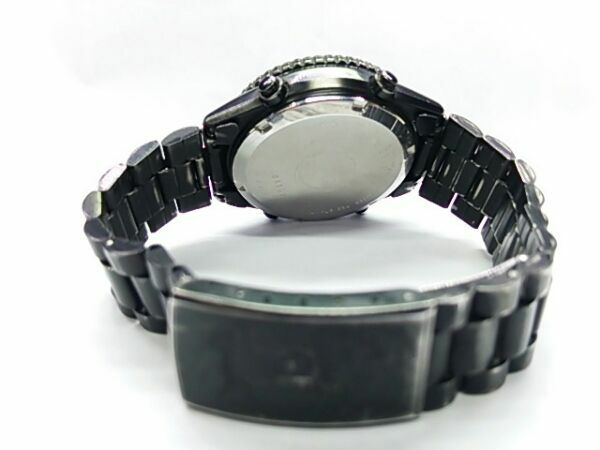 Battery type (quartz) day date display stopwatch function. 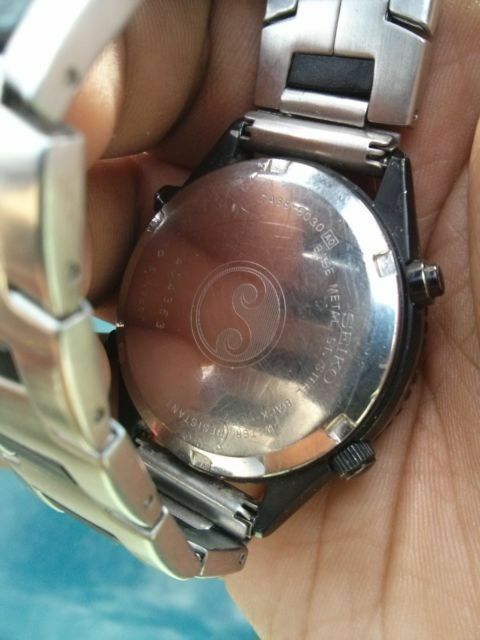 Case size 36 mm. 20 cm arm circumference. I've overhaul about a year ago at the clock shop nearby. It is a little corrosion hands and dial. Bald bunt color, there are cases small wound. Despite it's well wabi'd condition, that 7A38-6030 did attract some attention - 16 bids were placed by 3 different bidders. However, if I've intrepreted the result of this auction correctly, it was only actually bid up to 5,000 Yen - and went unsold. 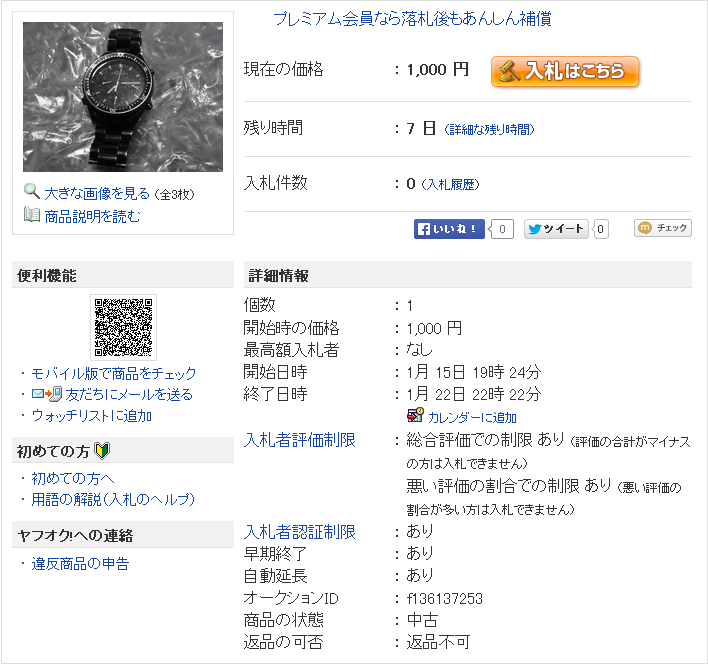 The seller appears to have set a somewhat optimistic reserve of 10,000 Yen (eqivalent to approx $98 USD / £57 GBP). 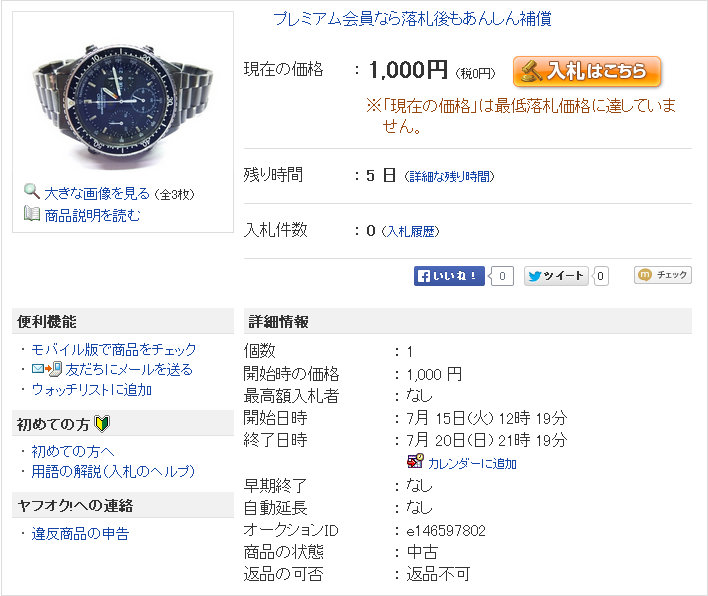 It's back again, re-listed - with an opening bid price of 1,000 Yen this time. 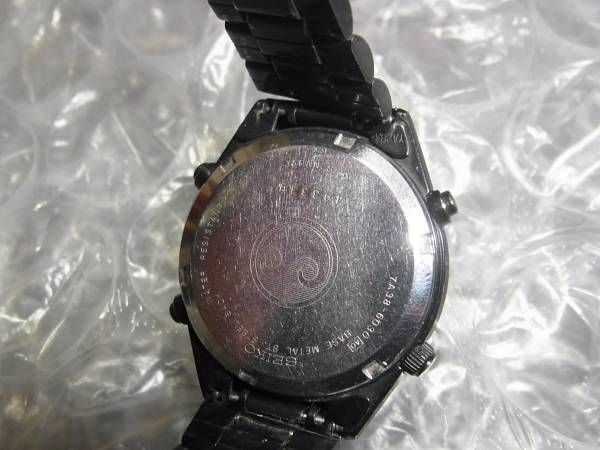 Here's another 7A38-6030 showing some loss of black coating, which was listed on Yahoo Japan earlier today. Overall, it's in better condition than the previous 'beater'. 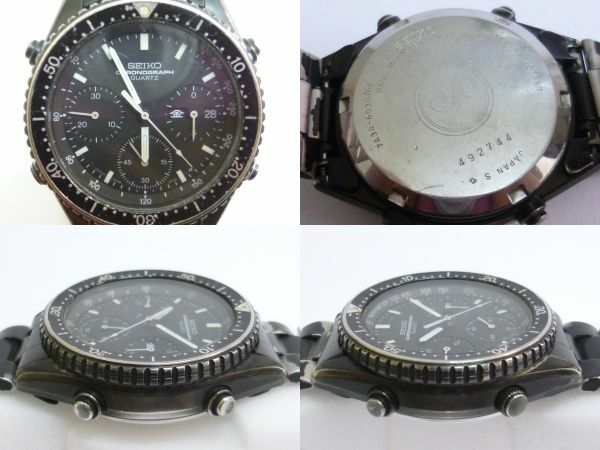 Interesting how this one appears to have suffered variable levels of coating loss (as is sometimes seen on 7A38-7080's): the case and bezel show normal rubbing wear; the Speedmaster clasp looks fine, but from the way its black coating has chipped off in chunks and is completely missing on the inside, I suspect the bracelet may have been painted in the factory, rather than black chromed. Thank you for seeing. 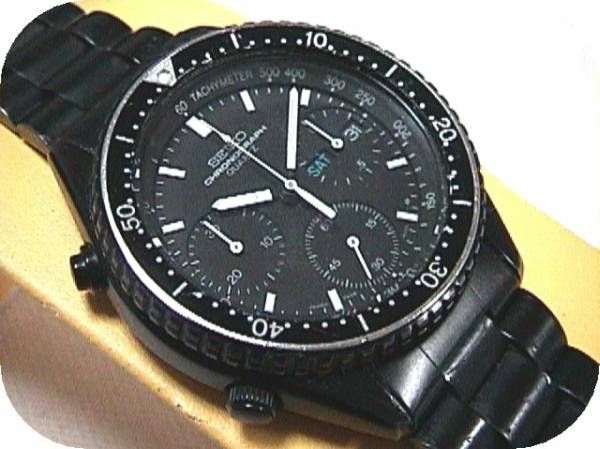 ◆ Seiko SEIKO ◆ chronograph Speedmaster 7A38-6030 It is an exhibition of Seiko Speedmaster watch. 1000 yen start of either ♪ would certainly like to take this opportunity ○ size Case diameter: about 3.7cm Arms around: about 19cm (. for amateur measurement, In case you're wondering thank you) - Tested battery replacement pre -commodity are all things of the photograph. Pipped at the post with this one by just 500 Yen. Post subsequently edited by Admin (addendum - to keep the information on the same page). 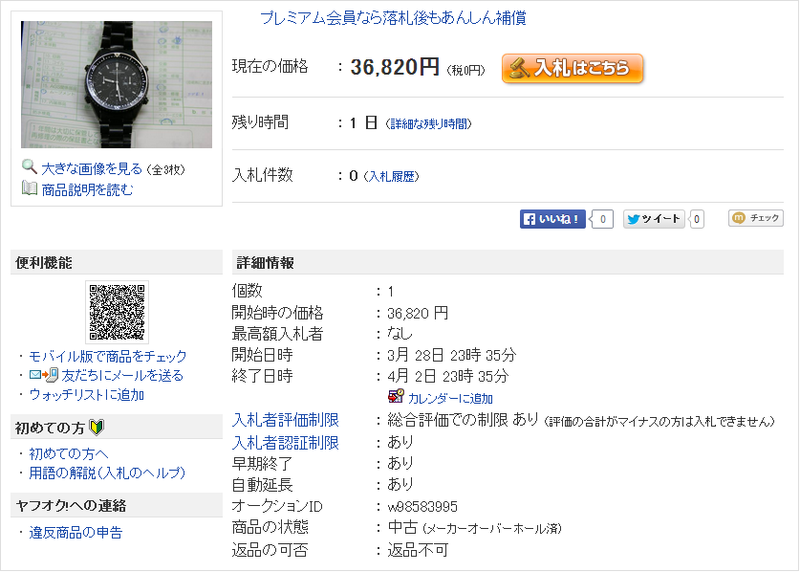 As Phil eluded to above, that Yahoo Japan auction for the 7A38-6030 ended earlier this afternoon. I wasn't watching it, but looking at the discrepancy in finishing times, I'd suspect the auction was extended (at least twice) due to late bids placed. 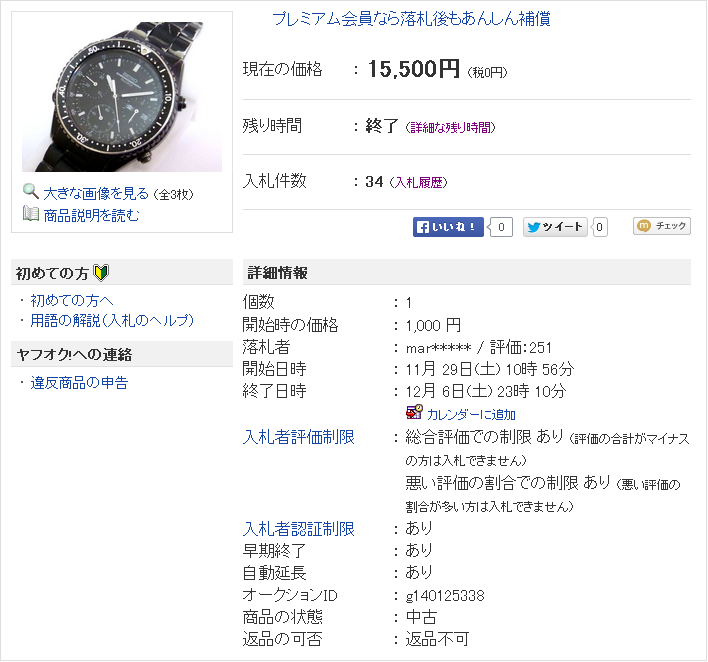 It sold for 15,500 Yen (equivalent to approx. $127.50 USD / £82 GBP) after 34 bids by 13 different bidders.